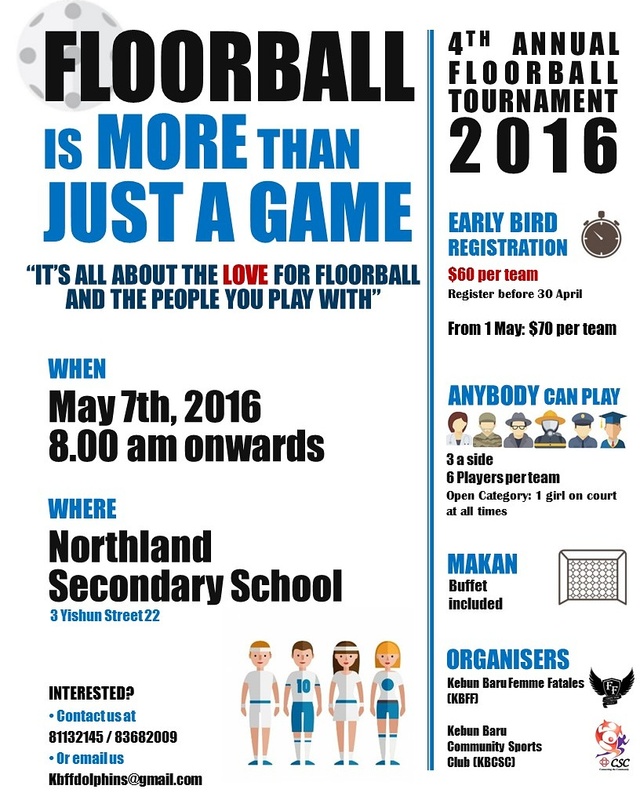 Please support our 4th Annual KBFF Fun #floorball tournament on 7 May 16. This is an annual non-profit tournament to get everyone and anyone exposed to the best game in Singapore and beyond. There is one category- mixed open. Form a team of 6 and join. Thank you!